Here, from the writer whose name is synonymous with robots and the science of robotics, are five decades of robot visions gathered together in one volume. These 36 landmark short stories and essays include three never before colleccted stories: " Too Bad," "Chritmas Without Rodney" and "Robot Visions," which was created specifically for this book. 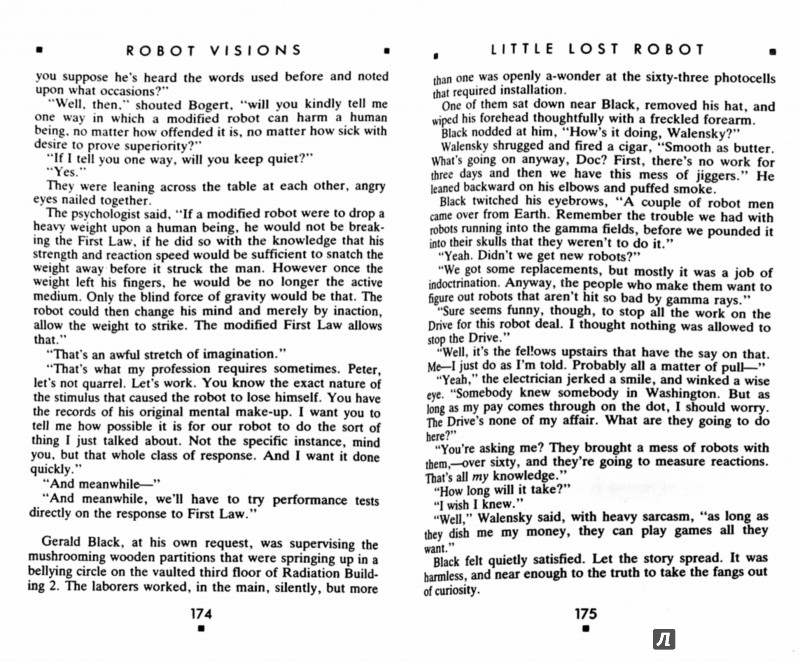 And you will meet all of Isaac Asimov's technological children from Robbie, the very first robot that Asimov's imagination brought to life, to Susan Calvin, the original robot psychologist, Stephen Byerly, the humanoid robot, and the famous human/robot detective team of lije Bailey and R. Daneel Olivaw, the starts of so many best--selling novels. Let the master himself be your gide as you explore the key moments in the financial history of robot--human relations--from the most primitive computers and mobile machines to the first robot to become a man. And you will see these "robot visions" skillfully captured in illustrations by Academey Award-winner Ralp McQuarrie, production designer of "Star Wars." Покупают вместе с "Robot Visions"
Защита Земли дала трещину. Сатурн означает опасность.